I have something completely different today. 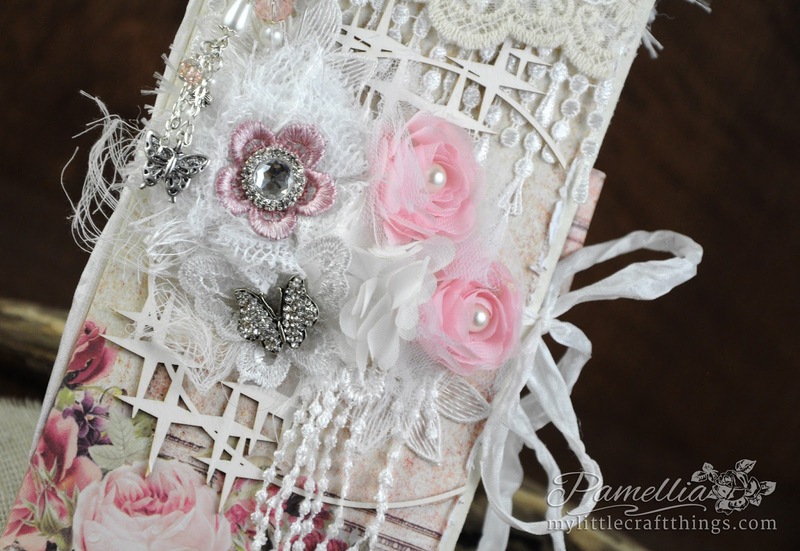 This is my first attempt at a handmade shabby chic book/album/journal type thing. This one is designed for organizing your shopping lists, wish lists, to-do lists or even special events lists. There's pockets for lists, gift cards, coupons and tags. I have done a walkthrough video for potential customers as this will be for sale in my Etsy Shop. Hope you enjoy. From collections "Believe in Magic" and "Focus"
So here is my first ever walkthrough video. There's no talking, I find that distracting, so just some soft music and a few fly-by notes. If you have time to take a looksie, please let me know what works and what could be improved on, from a customer's point of view. Thanks so much!! Around this time last year, I started noticing an odd coloured bird out on the lake. This is the only usable shot I was able to get, and after only a few days, he was gone. Had to Google this guy, and I discovered he was a male Bufflehead. Quite a rare sighting as it turns out! I sure hope to catch sight of him again this year. I love winter, but I'm done with that now. I'm ready for flowers and baby birds. Much to my chagrin unfortunately, we had quite the snowstorm on Friday. My friend Tiny Tim was about as impressed as I was. No worries though, by Saturday afternoon, the snow was all gone. 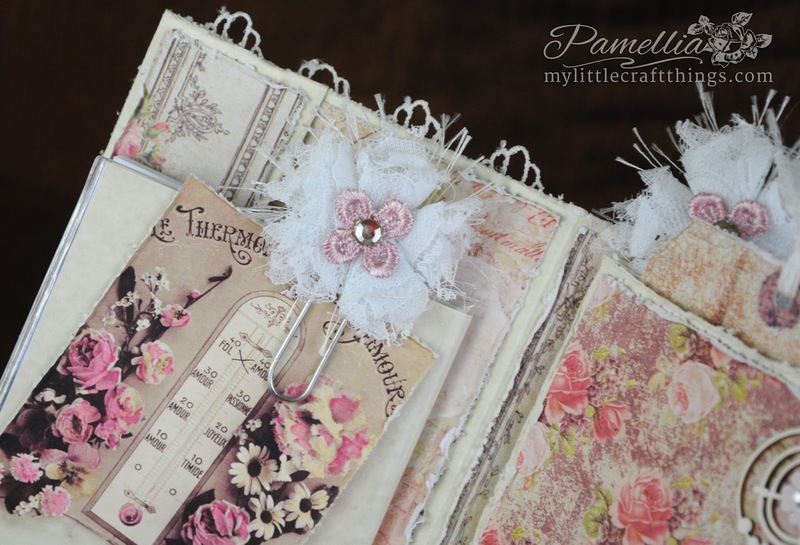 Your little organiser book is gorgeous Pamellia. Aww Tiny Tim is so cute...snow! We still have summer in our Autumn, even had a dip in the pool today. 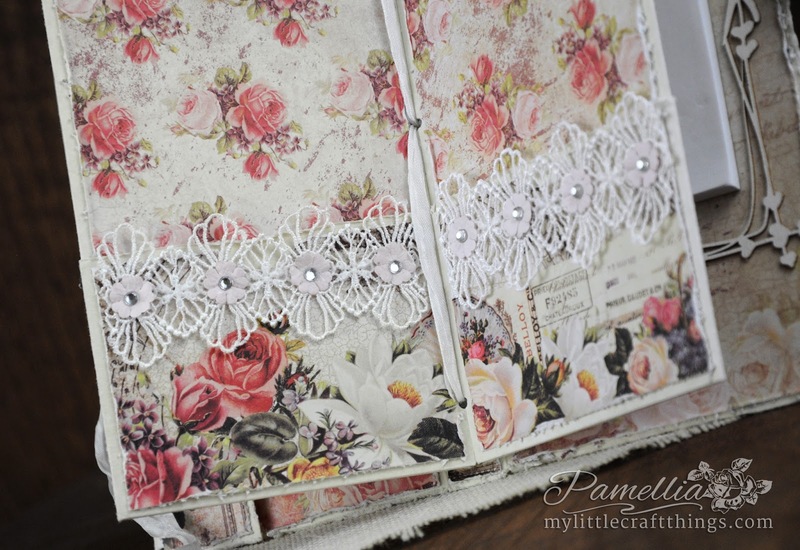 A stunning organiser Pamellia..beautiful papers and laces and lots of gorgeous details..I am in Autumn and still so very hot through the day but chills down just nicely for me at night..
Loving everything about this post. Your amazing organizer will adorn my computer desk and take care of the little scraps, and messes I create here everyday. It will be my "LittleTreasure". Somehow I've not noticed your etsy button, caught up with it on FB with the great video you presented on this. Have a lovely Sunday. Seems that you have gone to walk a bit even if with that boring snow :) Spring has not too much sweet, this year, isn't it? Hopefully there is still enough time before Summer, so waiting for her... :) Poor Tiny Tim, he looks really impressed by all that snow. Lovely photo of that Bufflehead, too! 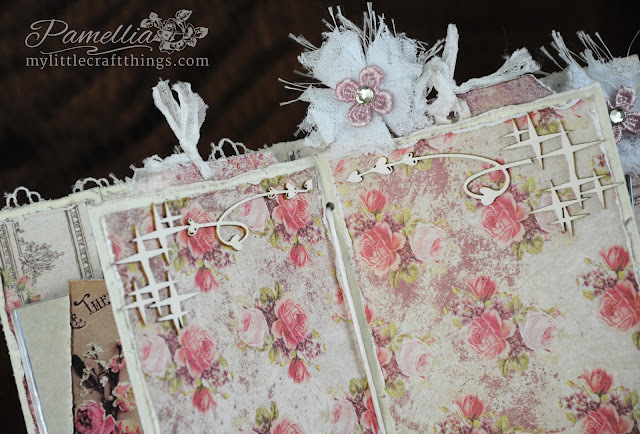 A gorgeous shabby chic organiser, I think you will be making more of these beauties. It was a lovely photo of Tiny Tim as well. I see this beauty has already sold out! It is so pretty! Love the laces you used and the flowers and dangle charm you made. We had some snow this week as well but it was all gone within 24 hours. It's been a chilly weekend but signs of spring are everywhere. Well Pamellia, if this s your first venture into projects like this it's absolutely stunning, all the details are amazing, I was entranced watching your video, which is fabulous by the way. I just love all the lace and embellishments, your creations are always jaw dropping gorgeous. A gorgeous feminine organiser, love all the little details you added, it'll be lovely to use. Hope your weather keeps warming up - I think we're all ready for sssssspring now. 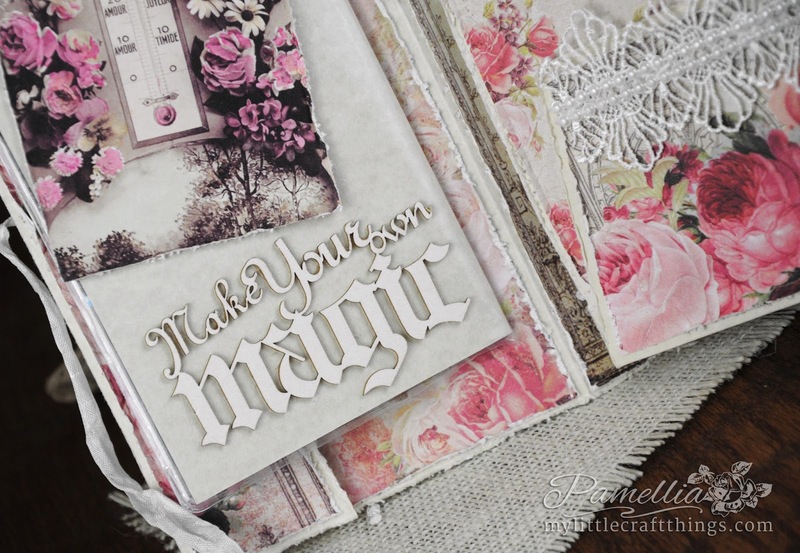 Gorgeous organiser Pamellia, love the beautiful papers and colours used to create this project. far to pretty to use, would have to be a keepsake for me. Great photos! hope your spring arrives soon. 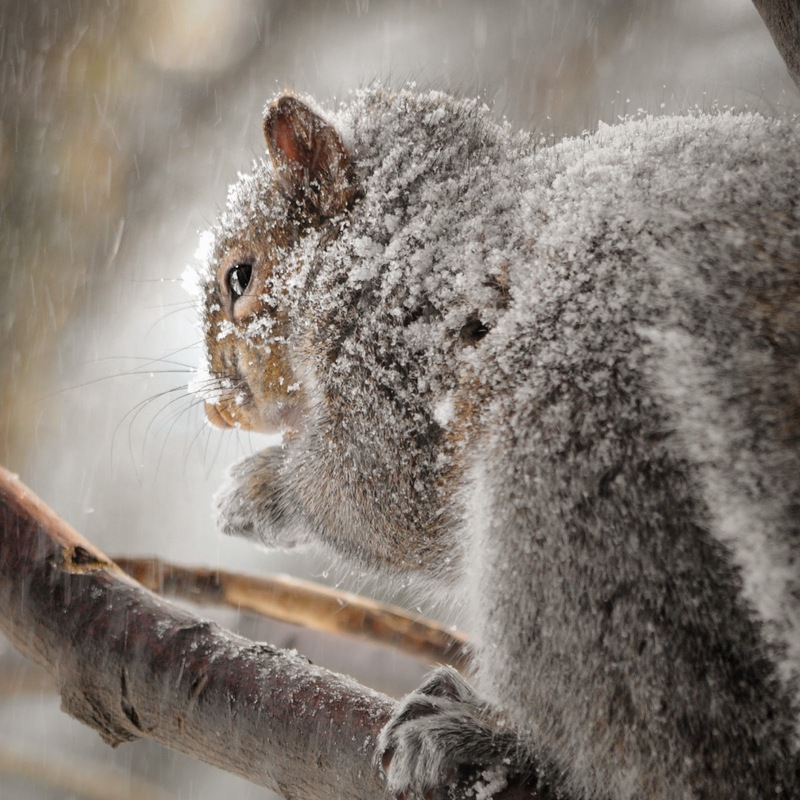 Oh, I am with Tiny Tim on the snow, had enough, now I just wish Spring would arrive! We were visited by a fox on Tuesday night,found a weak spot in the duck house and came down Wednesday morning to ducks-Daphne and Derek gone and fox paw prints all around-my son had actually seen it a few nights before strolling down the street!!! 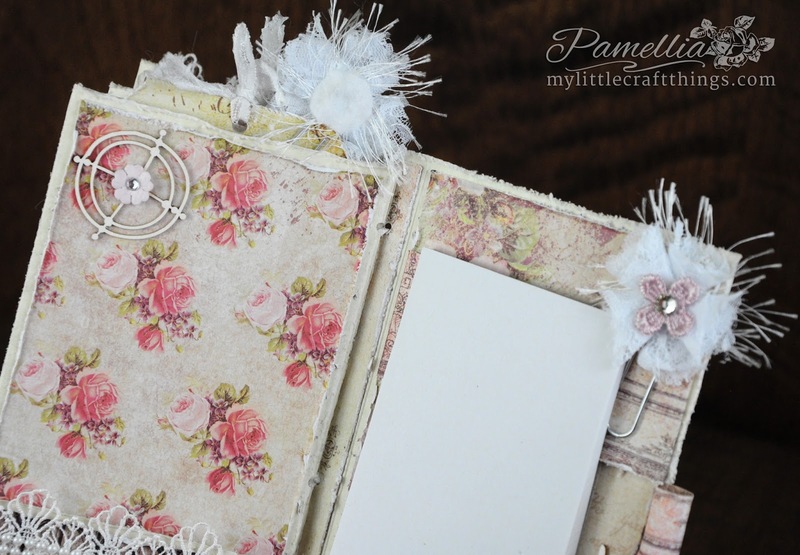 What a beautiful project Pamellia - it's so pretty i would be scared to use it for fear of marking it!! Love your wildlife shots - I think you see the rare things because you notice what is around you, when so many people don't really 'see' what's there. Dreamy! and gorgeous. Beautifully put together Pamellia, with beautiful elements made and bought! LOVE it, would I use it? I wouldn't dare, I know I would spoil it. It's too lovely to be in my messy hands LOL. It should be in a frame. Love your piccies, how wonderful to see such a rare bird, I run for the camera on the VERY rare occasion I see something new in the garden. 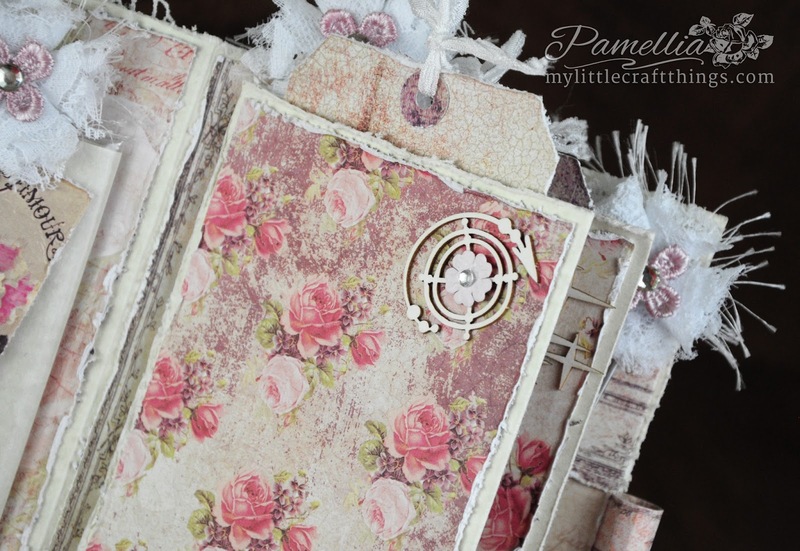 what a lovely journal you created Pamellia! 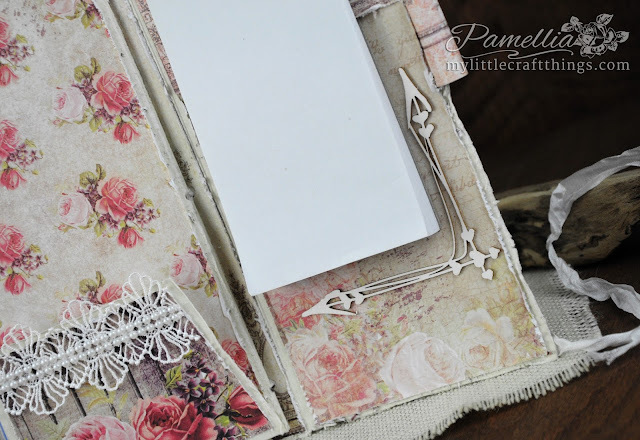 Your covers and pages are just beautiful with all the lace and die cut bits! Oh Wow!! This is stunning Pamellia!! The cover is drop dead gorgeous and I love each and every little nook and cranny on the inside! All the beautiful lace and the little tuck spots .. wow .. cannot believe this is your first attempt at a shabby chic album .. it is perfect!!! But then, I wouldn't have expected anything else!! You are awesome!! Well, that's the poshest shopping list ever. It's way to nice for my handbag as everything gets shoved in it lol! You could stick a magnet on the back and have it on the fridge. What a stunning and so elaborate organizer! Your creativity is never ending Pamellia! I love seeing this practical side of your crafting, Pamellia! It's very beautiful, never the less, with those gorgeous laces, chippies and oh, so lovely papers! Can't wait to find some time to watch the video. I did check your Etsy shop, but sadly for me this is already sold out! Wow! You are on fire with your sales! 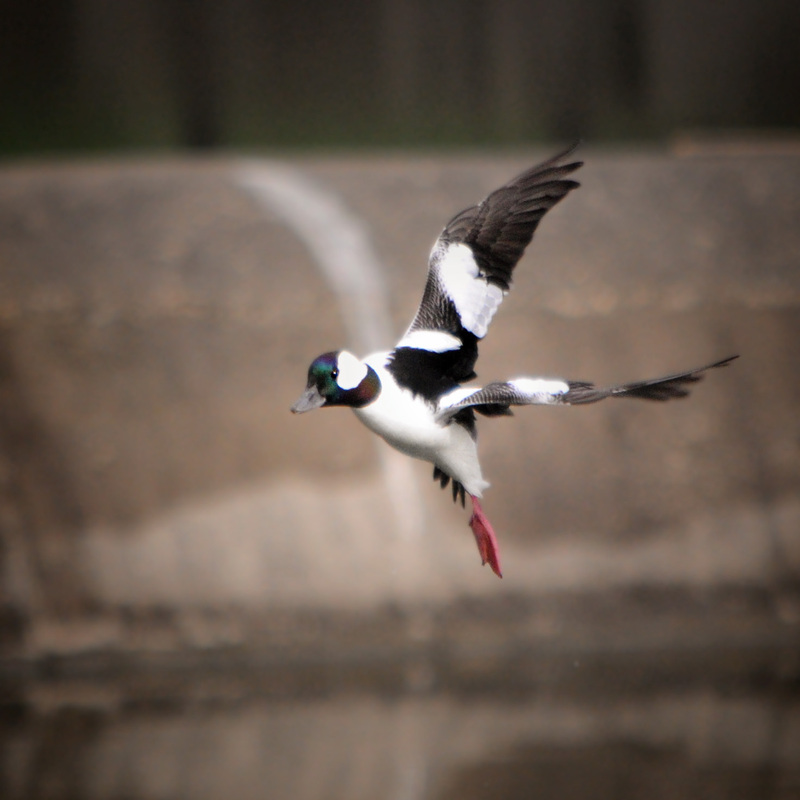 Wow, what a shot of the Bufflehead! I always enjoy looking up and doing a tiny bit of research on your wildlife finds. I hope spring will soon be on it's way! We've been grey and cold here for what seems to be ages. Sadly, today is pretty, and I have to work inside. Sending hugs! 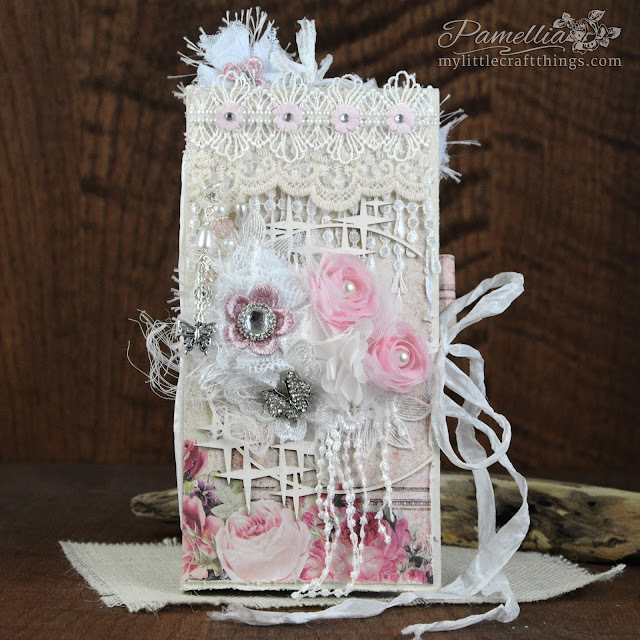 This is lovely Pamellia oh what a good idea and such a pretty project to make missed you last card and this one some how. Love all the pretty colours and embellishments you have used. Left you a longer message on your last post. Great pics to. Fabulous organizer, I imagine people were clamouring to buy it and you could have sold it dozens of times over. Beautiful papers and great lace embellihments, I love the clips, they were a great finishing touch. Thank you for the little video, it is the perfect way to see your projects in detail in detail, I miss so much when I look at the still photographs.